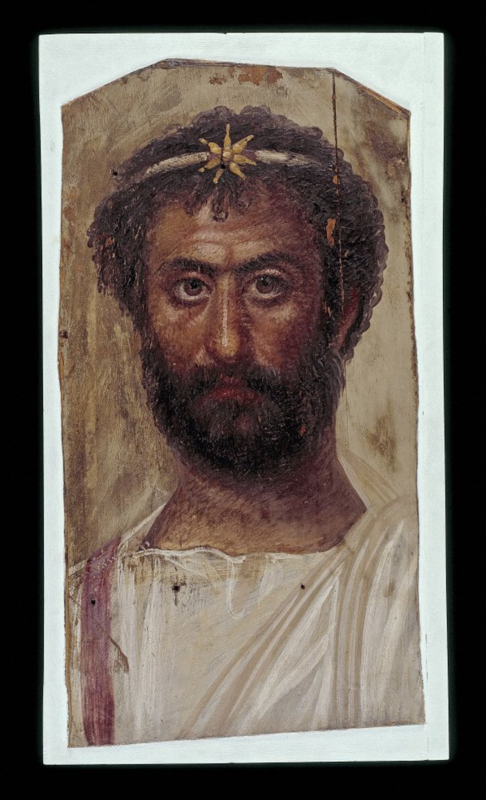 I was delighted to discover that the British Museum has initiated a project to catalogue its holdings from Antinoupolis in Egypt. It seems that in 1913-14, John de Monins Johnson excavated at the site; but did not publish his work. All that appeared in print was literary and documentary texts on papyrus! The link above takes you to a bunch of objects that the BM holds; and they intend to sort the matter out and publish his papers, etc. Truly this is a solid and worthwhile enterprise – but then I expect no less from the British Museum, an organisation that has consistently understood what the internet age means for museums and outperformed expectations. EA1648. Limestone(?) 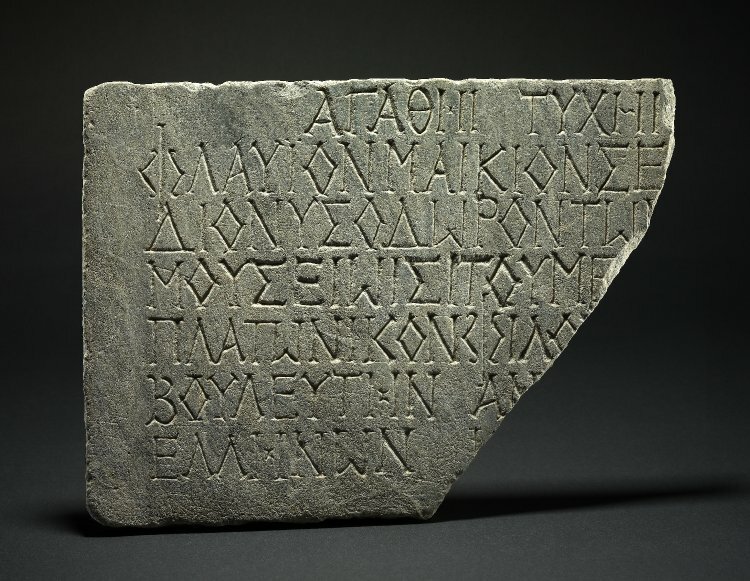 monumental inscription broken away at the right-hand side and bearing seven lines of Greek. The text honours Flavius Maecius Severus Dionysodorus, Platonic philosopher, in a dedication by the Senate of Antinoopolis. the Boulê of the new Hellenes of Antinoupolis. The city was founded in 130 AD. The item was purchased on site, not excavated. If it relates to the Platonic philosopher Severus – quoted by Eusebius, Porphyry and Proclus – then it must be late 2nd century. This I learn again from the exemplary British Museum page. An interesting item, on an interesting web site. The most accessible early account, of the discovery of an ancient house in the grounds of the Villa Negroni in Rome, is by Camillo Massimo in 1836. But for his source, Massimo refers to a mysterious volume which is online, but nearly impossible to find. Una esatta descrizione di quattro delle suddette Camere, coi colori di tutt’ i loro ornamenti , e cen i menomi lor dettagli minutamente indicati si trova inserita nel 3. Volume dell’ Icnografia degli Edifizi di Roma antica, pag. 55. e aeg. opera dell’ Abb. Uggeri, il quale nelle Tavole XIV . XV , XVl, e XVII, diede pure le incisioni a contorno delle Pitture di quelle quattro Stanze; e nel Volume II. Tav. XXIV. fig, 1, riprodusse in piccolo la pianta dell’ intero Palazzina con le sue dimensioni, e con l‘ indice delle pitture in esso rimanenti, la descrizione delle quali si trova anche nel citato Manifesto stampato in quell’occasione in un foglietto volante divenuto assai raro, e nella seconda Edizione della Roma antica di Ridolfino Venuti coll’ aggiunte di Stefano Piale Par. 1. cap. V, pag. 125. Search as you will: you will not locate this volume. You may think “icnografia” is an odd word, and make it “iconografia” but you will be no further forward. As I remarked a couple of days ago, Lanciani quotes the title as “Iconografia degli Edifizi di Roma antica“, but this too does not help. After a great deal of searching into the night, I have finally solved the mystery. It seems that Angelo Uggeri was, to be frank, a complete idiot. He self-published his works. And he decided that giving them title pages was unnecessary. Yes, that’s right. You can find a volume online, and look through it, and still have no idea what the thing is titled. Sometimes he shyly had a page which indicated his authorship – in a cursive, hard-to-read handwriting, not printed. The text in these is in two columns, one French, one Italian. A search for “Journées pittoresques” will return results. But Uggeri’s maddening habit of leaving out titles means that you will not be that sure of what you have found. A search in the French National Library site, Gallica, will return only three titles. Curiously it was the Europeana portal that saved me. 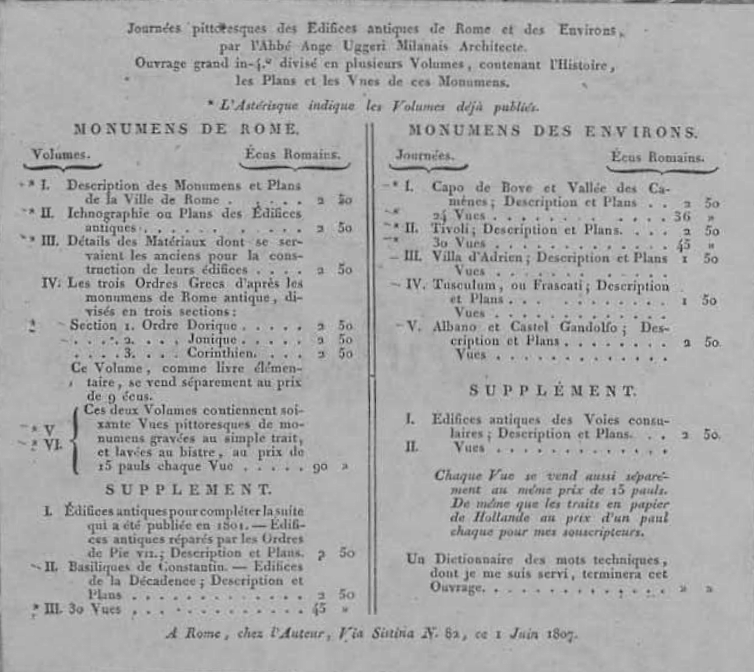 This search gives a list of 10 volumes, all at the BNF, with no distinction of volume number or title. They all have the same cover. Many have the same endpapers. You actually have to look through them to find out what’s in there. There are two series, each with volume numbers. In fact some of the “volumes” are also divided into two, one containing the plates, and the other with the text. I had to download almost the entire collection to find what I wanted. For my own sanity, and yours if you pass this way, here are the volumes that you need for the Villa Negroni. I give the link to the BNF for the volume, and attach a PDF of the relevant pages. The scans are not very high resolution, it must be said. The volume 2 floor plan is too small to read the scale, for instance. Let us hope that a German library like Arachne scan some volumes. From all this we learn that the actual title of volume 2, insofar as there was one, was “Ichnografia”! But I suggest we always refer to Journées pittoresques and specify the series, Rome. The other two sources given by Massimo deserve a mention, while we are discussing bibliographical mazes. The “manifesto” is actually a printed flyer, by Camillo Buti, proposing the publication of the frescoes of the house, and including a couple of samples, and a floor plan. This is the very earliest account. It is indeed extremely rare, and, as far as I can tell, not online. But I learn from an article by H. Joyce that “Copies of the Buti Manifesto are in the British Library, Department of Manuscripts, Add. Ms 35378, fols. 316-17, and the Victoria and Albert Museum, Department of Paintings, Tatham Album, p. D. 1479 – ’98. /2”. Doubtless other copies are around. The “Roma antica of Ridolfino Venuti with the additions of Stefano Piale” is another vague title. Volume 2 of the first edition is here at Arachne. The actual title is “Accurata, e succinta descrizione topografica delle antichità di Roma”, printed in 1763 – too early. Volume 1 of the third edition (1824) of the Stefano Piale re-edition is at Google Books here; volume 2 here. The text referred to is in vol.1, chapter 5, p.169 f. But it contains nothing of special interest. (Update: 2nd ed., 1803, vol.1, p.125 is here). 6. Although the Townley plan is incomplete, it includes information about the house’s decoration not given in any published source. I am grateful to Donald Bailey of the Department of Greek and Roman Antiquities for locating this drawing and supplying me with a copy. The invaluable Joyce article – which I obtained today – makes plain that the Townley plan is of the highest importance. It alone tells us, for instance, that the entrance door to the villa had a window above the door. The “blank wall” facing the door in fact had three niches for statues in it – “Ingresso principale nella casa dipinto con Architetture e nichie di relievo dipinte dentro.” And so on. Fortunately the Townley papers are in the British Museum, and a Google search shows that the museum has a research project to catalogue them and place them online. Well done, the British Museum. UPDATE: The etchings published in 1778 by Camillo Buti are actually online at Aradne here: A. Campanella, Pitture antiche della Villa Negroni, 1778. The monochrome etchings look far more Roman than the coloured versions. Two days ago the British Museum twitter account posted this item, which seemed to me worthy of wider circulation. They posted a picture of an item in their collection, together with one of the Fayoum mummy portraits depicting it in actual use! Gold diadem-ornament, from a diadem of the priests of Serapis. c.1-3 AD. 10mm high. The juxtaposition is pure genius. The link goes through to the British Musem site, where bibliography may be found. 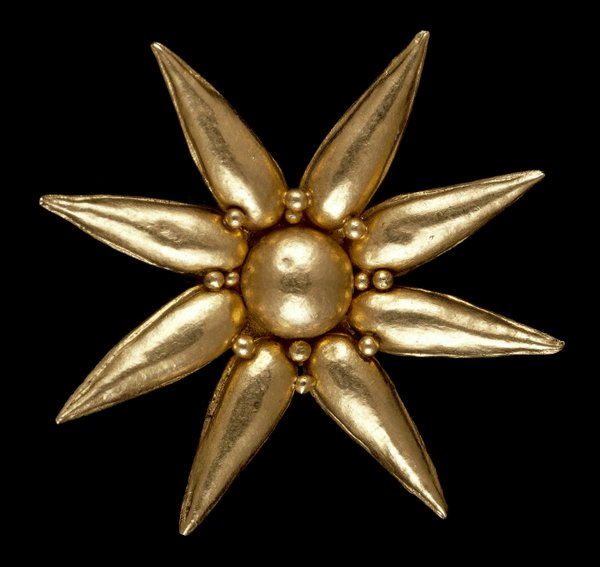 Another item I spotted via AWOL is that the British Museum (upon whom be blessings) has made its database of what it holds available on the web. You can search it here, and an advanced search is here. Welcome to the British Museum collection database online. Search almost two million objects from the entire Museum collection. Work is continuing on the parts of the collection that have not been catalogued and new entries are continuously being added. They’ve also implemented some kind of webservice, so you can access it programmatically. I haven’t looked at the latter — too much like what I’m doing at work at the moment. I tried using the search, and entered ‘Mithras’. I got back quite a lot of interesting items; but these were drowned in dozens and dozens of coin images. Quite how the coins were relevant I did not see, and I can see that these will drown out all the other content. Gentlemen: you need to implement an option to exclude coins! Another useful feature would be a permalink for each item, and also a way to embed the photos (because most of us would not want to copy them). The link “use digital image” is very good, very comprehensive, and allows the museum to sell reproductions to libraries etc, without obstructing the ordinary man who wouldn’t buy one in a million years. Well done, whoever thought of this. Here’s one interesting item, which I think we might say gives pretty much everything you’d want. The date of the item is 200 AD. I wish I had the CIMRM here, so I could identify it. 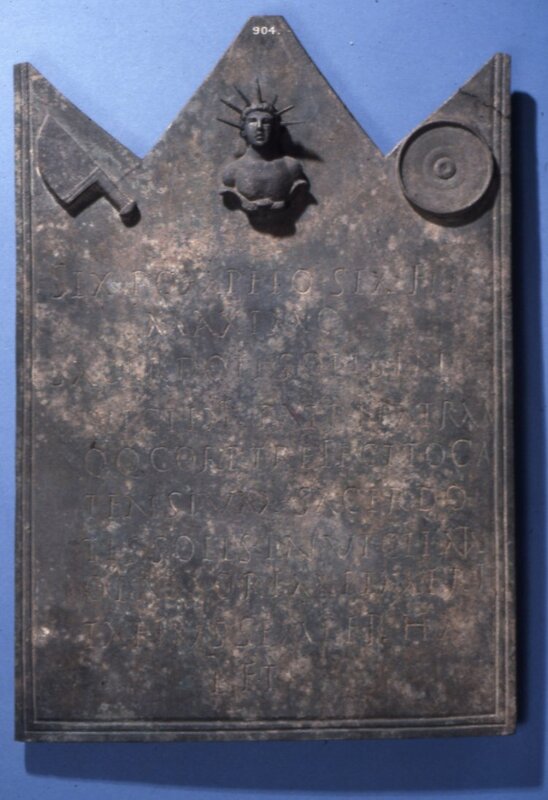 Bronze tablet dedicated to Sextus Pompeius Maximus, chief priest of the cult of Mithras and president of a guild of ferrymen; given by fellow priests of Mithras. Above the text are a bust of Mithras with a sacrificial knife and a patera. Translating “invictus” as “all powerful” is interesting, isn’t it? This chap was the high priest in his day. Also note how the priests of Mithras do NOT call themselves “patres” but “sacerdotes”. Notice how Mithras is NOT depicted in a typical fashion, but rather face forwards with a radiate crown. If you or I were devising such an image, we would have had a tauroctony, wouldn’t we? 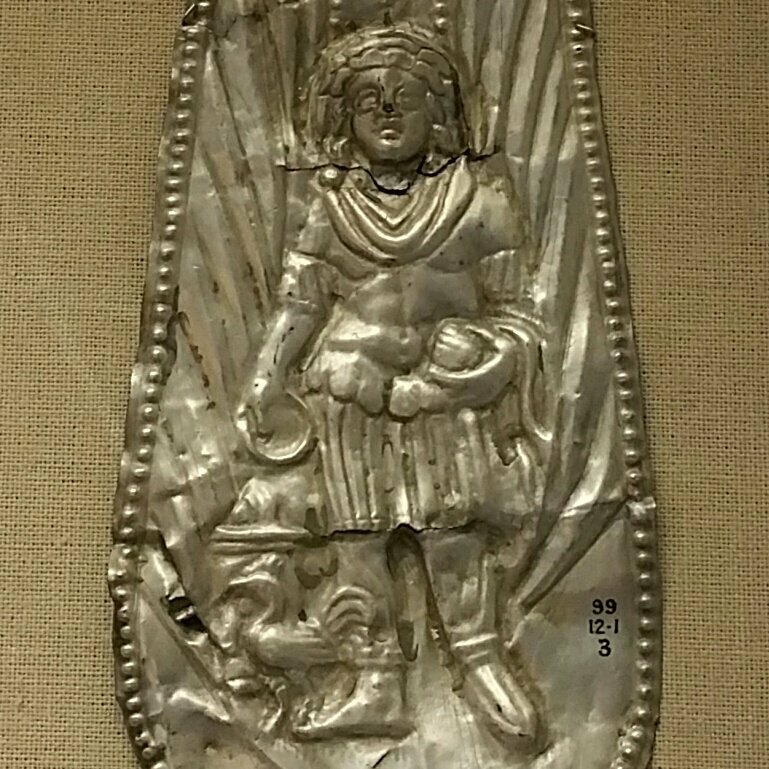 Indeed without the inscription, would any of us recognise this as Mithras? Possibly the workshop adapted an existing image type, of course. But otherwise it is a salutary reminder that our assumptions on iconography can be widely mistaken. The other items are a bowl and a hatchet. 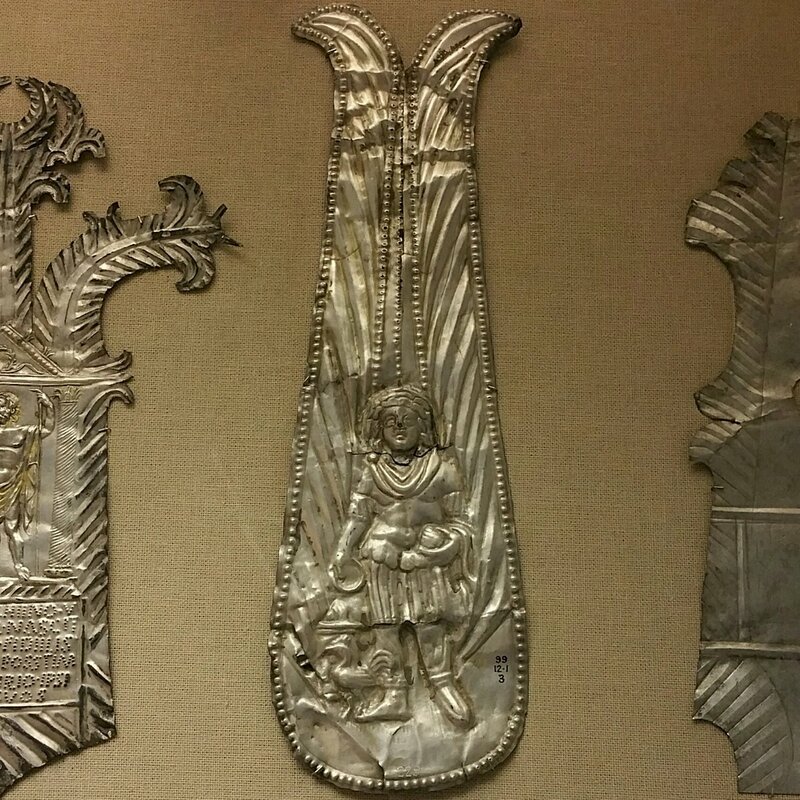 I wonder if these are part of the priest’s tools. If so, we might ask what a priest of Mithras would use them for? Do these suggest some form of sacrifices?